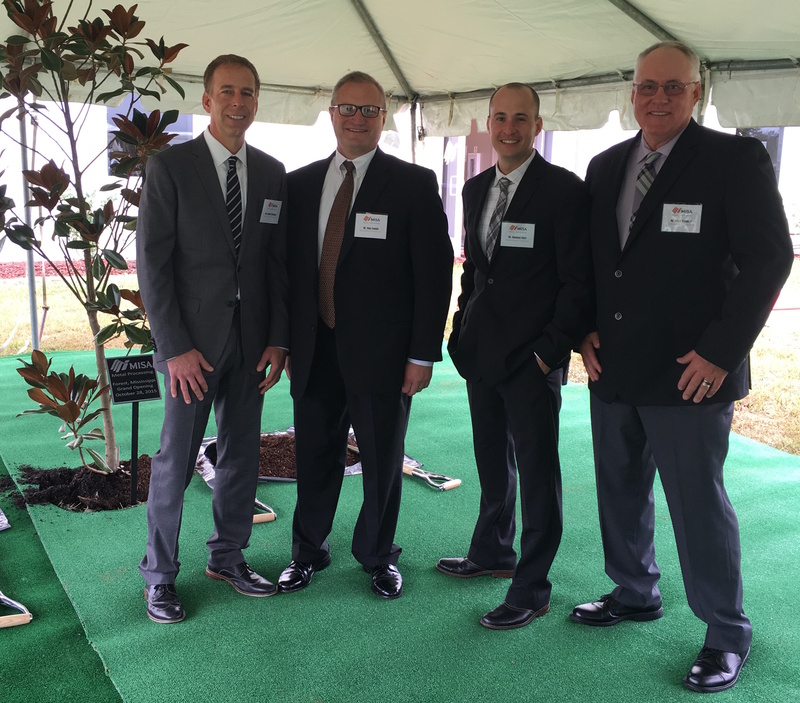 On Wednesday, Wieland-Davco took part in the grand opening ceremony for the new MISA Metal Processing plant in Forest, Mississippi. WDC completed this 60,000 SF project in July of this year. Proud team members are pictured left to right: WDC CEO Rob Kreuger, Dan Combs (MISA), WDC Project Manager Damian Starr and WDC Project Superintendent Gary Probert.